Hmmm… now how do I answer that? Whisking up the egg whites and using the right method of folding that into the cake batter is very important. It’s a delicate procedure and if you screw that up, you can be sure your chiffon cake will not rise nicely or may end up having a lot of large “air holes” in the texture. 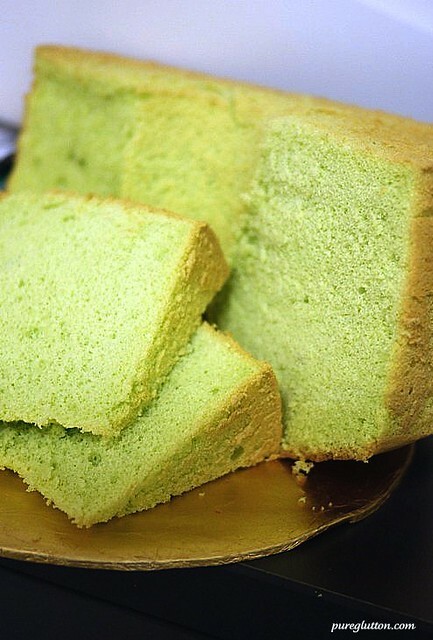 I find that, personally, there are only 2 flavours of chiffon cake that work well with me – orange or pandan. I use fresh natural ingredients in my cakes like freshly-squeezed orange juice, freshly-scraped zest and freshly blended pandan juice. You can’t go wrong when using fresh natural ingredients, really … the aromas and flavours are incredible. Anyway, I never had that problem because the cake is always gone within the day, haha! LFB: Hehe I know this is a very old-fashioned cake, but Old is Gold! LFB: Ya lor – how u know ahh? All gone already! Your texture looks fantastic! Looks really fine and soft. You’re right about the whites. Most people I know either over or under whisk the whites. Over-whisk, you have difficulty mixing the stiff whites with the yolk-mix and end up with streaks of white in the cake. Under-whisk, you don’t the get the volume and end up with a dense cake. Even worse, the cake may inflate when baking but deflates upon cooling and you find two distinct layers of cake with a dense one at the bottom of the cake. I’m still trying to find one with the right number of eggs for my pan to produce a tall cake. 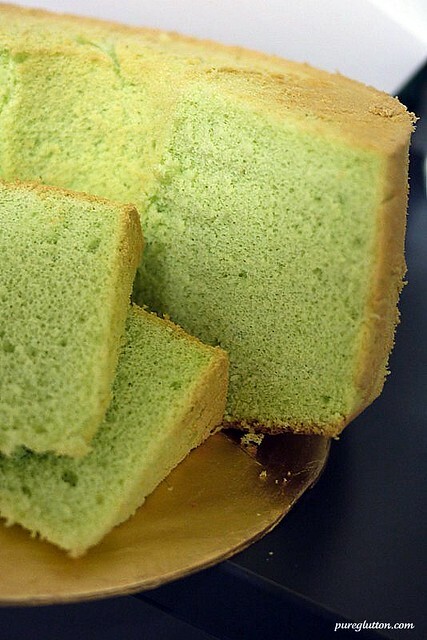 Have a go at this: ( http://ieatishootipost.sg/2010/05/how-to-make-pandan-chiffon-cake-almost.html ) The 6yolk-9white recipe produced a fantastic cake which did not shrink at all. Unfortunately it is beyond my little handmixer (had difficulty whisking 9 whites), so I don’t think I will be doing it again unless I have a stand mixer. GFAD: I’m sure everyone appreciates all your tips here – thank u! Soak the mould in water to soften the remnants, then it’s very easy to clean. You are so right – the eggwhites will make or break the cake, lol! Thanks for the link to the 6y-9w recipe but I like my present 5-egg recipe – it works like a dream. And no yolk or whites left over 🙂 The height is just nice too, using a 22cm mould. but but where is the recipe!?? was looking fwd to it! argh, i was so confident you had posted the recipe when i glanced at your blog post this afternoon, and got all the stuff, came home, opened your post, and ARGHHHH, no instructions at all! chis!